The Everest Marathon; as astonishing as it sounds, certainly lives up to its name. Running along the foothills of the glorious Everest Himalayas, the marathon is one of the longest and hardest marathons on Earth! This marathon was initiated to commemorate the first successful ascent of the Mt. Everest (8848m) by late Sir Edmund Hillary and Tenzing Norgay Sherpa. The Everest Marathon is the ultimate race track for those daring enough to run amid the harsh Himalayan environment. Following the trail through some of the most esteemed destinations in the entire Everest region, the Everest Marathon guarantees entanglement with the mesmerizing Himalayas and local Sherpa culture. The idea of creating a Marathon on the Himalayas was first introduced by Jan Turner and Tony Hunt in 1985. The first organized event was started in 2003 by Himalayan Expeditions, a Nepali trip operator, with the approval of the Government of Nepal and Nepal Tourism Board (NTB). The first Everest Marathon featured a 42-kilometre long track which was won by Uttar Kumar Rai. Since then, the marathon is organized annually and has gained the attention of the runners aspiring for the thrill of the highest order. The marathon begins from the Everest Base Camp and takes the runners through the trails endowed by the diverse flora and fauna within the Sagarmatha National Park. Similarly, during the length of the marathon, the Himalayas like the Mt. Everest (8848m), Ama Dablam (6856m), Kangtega (6685m), and Nuptse (7861m) keep enticing company to the trekkers. Furthermore, the trails also cross paths with numerous Sherpa villages like Lobuche, Dingboche, Pangboche, Tengboche, and Namche Bazaar along the way. The runners will have to navigate through trails which are steep and snowy. Although descending on most occasions, there are a few ascents and high passes along the route as well. The Everest marathon starts from the Everest Base Camp at 5,364 meters and ends at Namche Bazaar at 3,440 meters. This trail covers rocky moraines, meadows, forests, and bridges that go up and down. The runners make a gradual decline in altitude as the marathon progresses. Like the trails of the race consist of more downhill than uphill, this run is very demanding! Thus, it requires strength, endurance, and stamina. The pure adrenaline rush of this event is what attracts marathon runners from all over the world. Everest Marathon has three different categories. Runners can take part in their desired categories according to their physical capabilities. The three categories are 60 km Extreme ultra, 42 km Full marathon and 21 km half marathon. The 21 km half marathon begins from Dingboche (4,410 m) and ends at Namche Bazaar. However, the 60 km Extreme Ultra and 42 km Full Marathon both begin at the Everest Base Camp and take you to Namche Bazaar. While the 42 km Full Marathon follows the classic Everest Base Camp Trek trail, the 60 km Extreme Ultra heads north to Nha La from Phortse and rejoins the route of the other two marathons at Mong La. The 60 km Extreme Ultra also ends at Namche Bazaar. As the marathon is celebrated in honour of the first successful ascent of the Mt. Everest (8848m), the marathon is organized on May 29 every year. In 2019 too, the 17th edition of the Everest Marathon is set to be organized on May 29. The Everest Marathon is open for enthusiasts all over the world. As the marathon begins from the Everest Base Camp, the runners will have to trek all the way to the Everest Base Camp following the classic route. Following the arrival at the base camp, the runners will participate in the marathon on May 29. Since the runners will have to trek to the base camp and run all the way to Namche Bazaar, we recommend only seasoned athletes and runners to participate in the marathon. However, anyone with a hunger to participate in this adventure can apply for the Everest Marathon. With May, just around the corner, we are nearing the date of the Everest Marathon. If you are a runner, you should definitely sign up for this adrenaline-filled race. For any candidate who believes has the potential to participate in this event, get your running shoes and start training. It is your time to conquer the Himalayas! Namaste! 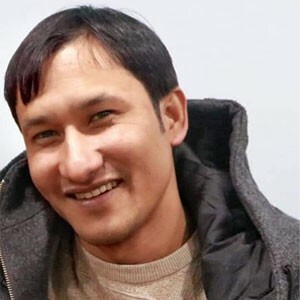 I am Rajesh, Nepal travel blogger providing Nepal travel tips to the travellers who are planning to travel Nepal and know about Nepal. I am a tourism service provider in Nepal So far, I have been to the Nepalese Himalayan base camps as a tour leader and collected lots of information about the Nepalese Himalayas. You can find my experiences in my travel blogs so it may make a lot easier you to travel to Nepal. You may find me on Instagram (@razesh.razz) and Twitter (@thapaliyaRazesh). I have worked very hard to be in this stage after my high school and dedicated my experiences to the people who would like to know about Nepal and Nepal travel. I inspire travellers to travel to Nepal by providing information and recent news about Nepal. If you like my blogs and think that my blogs are really helpful to make you easier Nepal travel plan, please contact me at any time and ask questions about any confusion and follow me on my social profiles. I was born in the countryside and finished my high school from there. After my high school, I came in Kathmandu and started to work as a trekking porter then I improved my English and started to work as a trekking guide at the same time I was a university student. While I was working as a tour leader, I visited all the Himalayan base camps in Nepal and collected lots of information about these areas. So my work inspired me to write and provide information about travelling Nepal to the visitors.